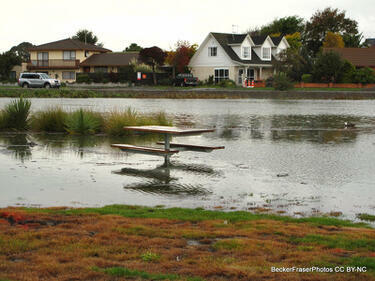 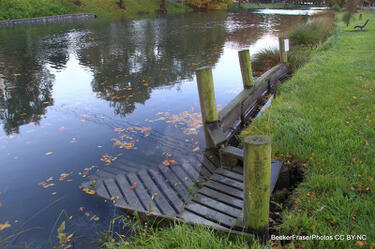 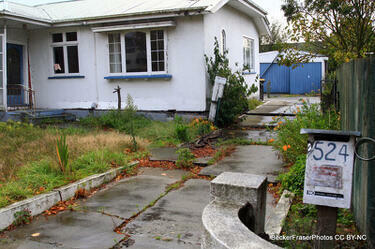 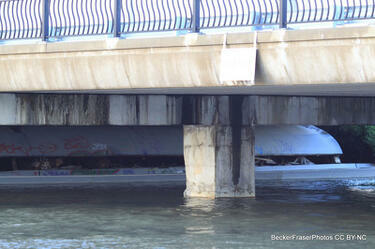 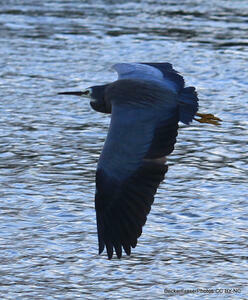 Photograph captioned by BeckerFraserPhotos, "The Avon River is at this point on Avonside Drive 10 km from the estuary. 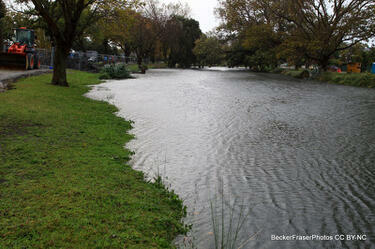 At high tide the river now overflows its banks showing that the ground has sunk by about 40 cm". 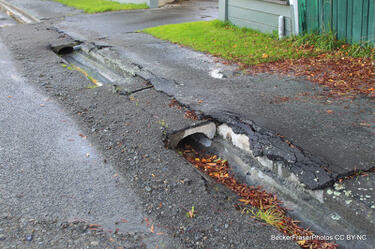 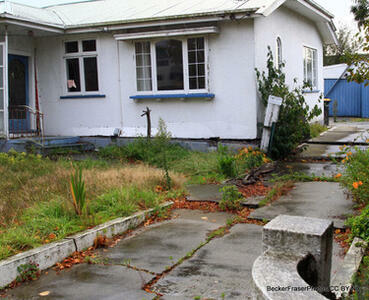 Photograph captioned by BeckerFraserPhotos, "Cracks in the footpath outside 308 Avonside Drive". 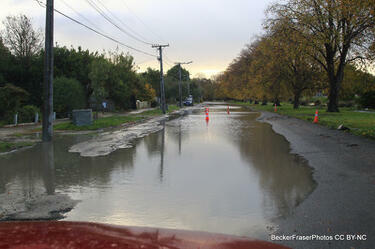 Flooding along Anzac Drive in Bexley. 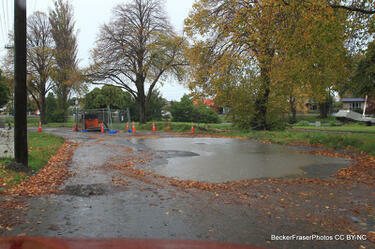 The photograph has been captioned by BeckerFraserPhotos, "Anzac Drive under reconstruction, adding about 40 cm to its elevation". 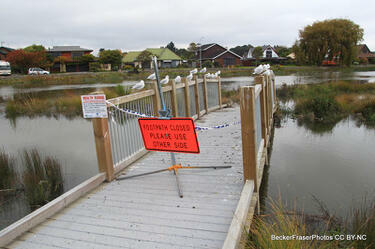 Earthquake damage down New Brighton Road. 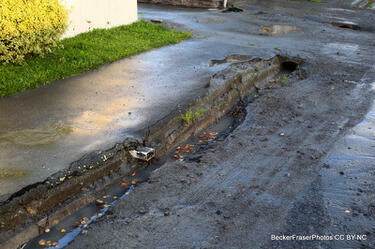 There is cracking on the footpath and cars are parked on the front lawns as silt from liquefaction still remains on the street curb. 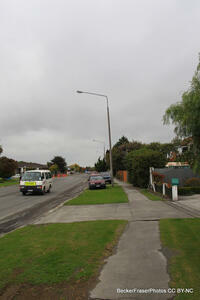 A van with a 'school' sign can be seen driving down the road. 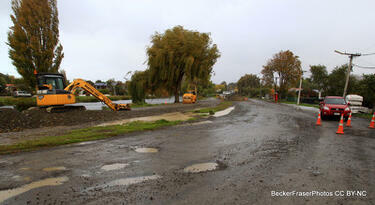 Photograph captioned by BeckerFraserPhotos, "524 Avonside Drive". 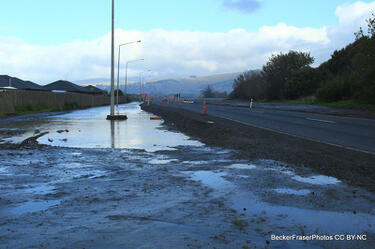 Photograph captioned by BeckerFraserPhotos, "View from Anzac Drive still with the effects of massive liquefaction". 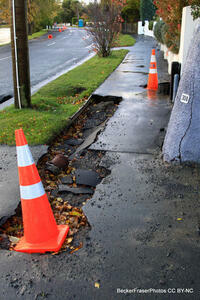 Damage to the footpath on Bracken Street in Avonside. 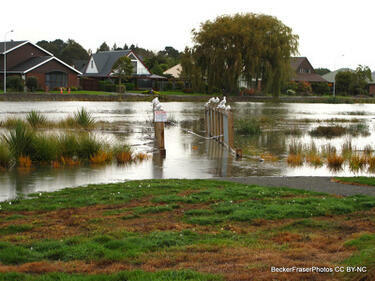 A sewage pump and flooding on Avonside Drive. 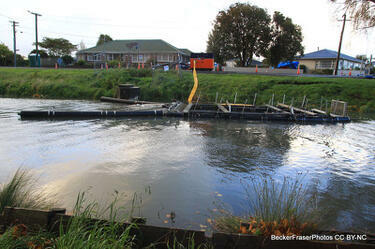 Sewage being pumped into the Avon River as a result of broken pipes underground. 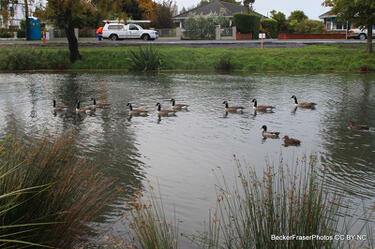 A flock of ducks in the Avon River in Avonside.